At CES 2011, I saw a lot of products from XtremeMac, and I couldn’t believe that it has been three years since we reported on anything from them. I had a chance to try out three of their products. The first is the 3 in 1 Microdock. It turns the iPod/iPhone into a stereo speaker, and an alarm clock app turns it to an alarm clock. It also serves as an iPhone/iPod dock that charges the iDevice twice as fast as USB. I don’t own a PC anymore, but if I did ever get a desktop, then I would just have to get the Coobeeo HELLO-Q PC Tower Case. As you can see, this Tower Case has a building block front. I would imagine that it is compatible with Lego and Mega Blocks. The picture here gives some good examples of what to do with it. I mean, you can spell out certain messages. That, or make a place to hold your pens, and is that a Bluetooth headset hanging on a brick? I’m not certain why I am writing on about this tank. I guess the last post I did about the Mega Hurtz Paintball Robot tank got so many “Likes” that I had to write about this one. This tank is not functional, and it was built by a Chinese man who realized that the thing that Megatron turns into is sort of stupid. I’m talking about that falcon thing that the Megatron from the Transformers movies transformed into, not the one from the cartoon. Although I would have to say that I don’t understand how big Megatron could fold up into a gun. Maybe that’s why they changed it for the movie. Anyway, the aforementioned Chinese man decided that Megatron needed a gun, so he made him into a tank. The whole thing weighs about 5 tons. Computer Engineer Barbie – Does Barbie like Windows? Please meet the newest addition to the “Barbie I Can Be…” collection, and the first profession ever chosen by popular vote, the Barbie I Can Be a Computer Engineer doll. In my opinion, the coolest of all Barbie Dolls, THIS Barbie comes complete with a cool pink laptop with case, a hot pink smartphone and a headset. Dressed in perfect geek-chic Barbie wears a binary design t-shirt with leggings and pink sneakers and her face is adorned with the almost mandatory, squarish framed glasses. Read moreComputer Engineer Barbie – Does Barbie like Windows? Clinique has come up with a new way to shop – and that is through the incorporation of technology that has become so prevalent in our lives these days. 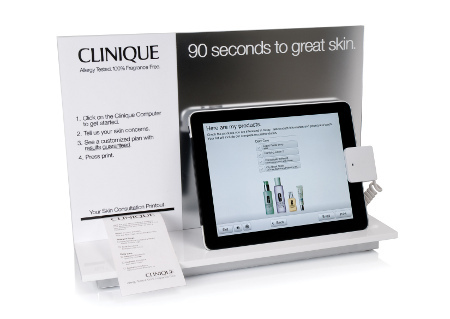 The world leader in beauty is now the first cosmetics brand to use the Apple iPad in-store as part of a state-of-the-art, self-guided skin care diagnostic tool which is currently being rolled out later this month at select counters nationwide. Here is another world’s first, this time around it is a form of transportation that might just have you switch from four wheels to a two-wheeler. We’re talking about the Shadow Ebike, a wireless power-assist electric bicycle that is touted to be the first of its kind in the world. Definitely a whole lot more different from a standard pedal-powered bike, it goes one up on the rest of the electric bicycles in the market by looking dapper. Just how much more aesthetically pleasing is it, you ask? 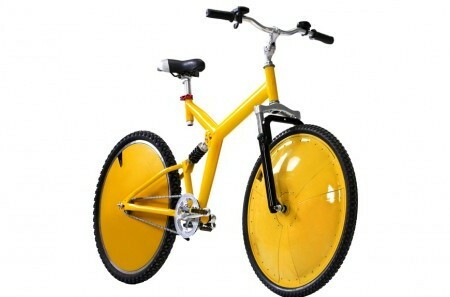 For starters, you won’t have any of those ugly electrical wiring hanging outside the frame, since this unsightly mess has been done away, chalking another victory for the world of electric bicycles. Many years ago, gaming was just all about the graphics – sound took a back seat, but it seems as though things have taken a turn for the better these days, what with modern technology having taken leaps and bounds forward over the past few years. 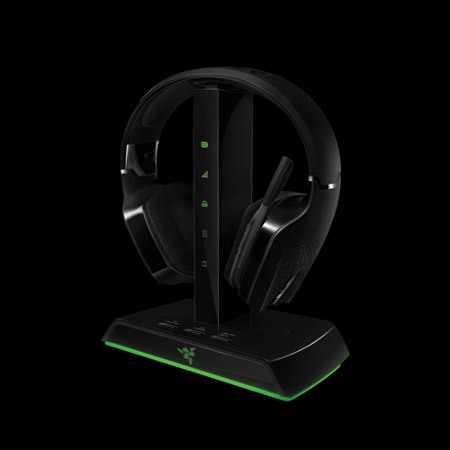 Razer, a company that is famous for its range of gaming peripherals, has rolled out yet another device for the masses who are aligned to the Xbox 360 in the form of the Razer Chimaera 5.1 Wireless Gaming Headset. This is the latest model which will be able to let you hear all the explosions and gunfire in Halo, not to mention being thrilled by the high octane release of nitro in Need for Speed, or grooving beats on DJ Hero. Surely, the Razer Chimaera is able to kick Xbox gaming immersion into overdrive. Texas Instruments, or TI for short, has long been associated with the world of graphing calculators, and this time around, the company has more or less outdone itself wtih their latest release, the TI-Nspire CX. What makes this model stand out from the rest of the crowd? For starters, it will now boast color capability, which means that the world of black and white is now a thing of the past. The TI-Nspire CX has already undergone the hoops and tests presented by the FCC, so it has it made and is more than ready to help you part with your hard-earned money if a color graphing calculator is the thing you need. More on this interesting device in the extended post.